As I write this, Birkbeck Arts Week 2016 is nearing a highly successful conclusion! The School of Arts building has been a-buzz all week, with staff, students and visitors arriving, setting up events, and trying to dash from one to another, to squeeze in as much as possible. It’s been difficult to choose between all the lectures, panels, screenings, workshops and tours taking place. Last night, my pick was the lecture on ‘Brutalism’ by Professor Mark Crinson, who will be joining us as a new member of staff in the History of Art department in a little over a month’s time. The room was packed, as Professor Crinson took us through an incisive critique of scholarship around and responses to Brutalism. Arts Week is not quite yet done though – do check out the programme for this evening and tomorrow, if you’re able to fit in one or more events – and take at least one more look at the wonderful, woolly installation on the front of the building! This, courtesy of Assistant School Managers Catherine Catrix and Claire Adams, is still proudly announcing Arts Week to all passers by. 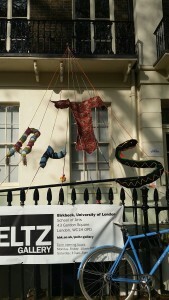 It’s yarn bombing I’m told! The panel discussion on ‘Film as Research’ which Professor Lynn Nead organised on Tuesday this week was prompted by an exciting project which emerged out of her exhbition on the Fallen Woman. 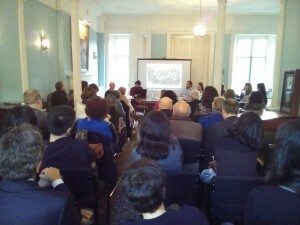 This took place last Autumn, at the Foundling Museum. I know many of you gladly took advantage of the generous 50% discount on tickets for Birkbeck students – and you’ll also be interested to know of a film which has just been made by Lily Ford, which draws on and develops a cinematic language for the same material as the show. Lily is a Deputy Director at the Derek Jarman Lab, where she recently produced a film on the writer and art critic John Berger, titled ‘The Seasons in Quincy’, with Tilda Swinton. In 2015, Lily completed a PhD on aerial views and the culture of flight in 1920s Britain, with Lynn. She then worked as Researcher in Residence at the Ben Uri Art Gallery and Museum. Lily has directed the film ‘Fallen Women’ as an AHRC Cultural Engagement Fellow at Birkbeck – and it’s more than worth a look! Here’s the link. Arts Week may be over, but there are still plenty of events coming up to look forward to. Next week, Birkbeck is involved in a major international conference entitled ‘Leonardo in Britain: Collections and Reception’, co-organised with the National Gallery and the Warburg Institute. Do take a look at the full programme, put together by one of our Associate Research Fellows, Juliana Barone. Birkbeck will be hosting the opening lecture, in the Clore Lecture Theatre, on Wednesday 25th May, at 5.15pm. Professor Martin Kemp from Oxford will be giving a talk entitled ‘Spinning a yarn or two: Leonardo’s two matching Madonnas’. His lecture is intended to launch the conference, but it is also possible to book tickets for it as a standalone event – and it’s free – so please do sign up if you’d like to come along. Then, on Wednesday 1st June, our own Clare Vernon, who’s been teaching for us this year while Zoe Opacic has been on research leave, will be leading the Murray Seminar (Keynes Library, 5pm). Clare will be giving a paper on the fascinating topic of ‘Pseudo-Arabic in Medieval Southern Italy’. Pseudo-Arabic script appears in both Islamic and Christian Mediterranean art in the central Middle Ages. In her talk, Clare will be examining the use of pseudo-Arabic motifs in the region of Puglia in southeast Italy over the course of the eleventh century. Focussing attention on the mysterious pavement in the basilica of San Nicola in Bari, she will explore how the script-like motif relates to Bari’s role as capital of the Byzantine provinces in Italy. It’s also time to remind you of the host of events organised by the London Art History Society, which is affiliated to the History of Art Society here at Birkbeck. We have a close relationship with the LAHS, who have generously funded a number of research bursaries for MA and MPhil/PhD students this academic year, and are supporting the upcoming postgraduate conference on ‘Looking at the Overlooked’ on Friday 24th June. The Society have some particularly exciting study events coming up, on subjects as diverse as patronage in Renaissance Italy (led by Caroline Brooke), and the Dutch Golden Age (Clare Ford-Wille). If you aren’t already a member of the Society, I would urge you to consider joining – a true bargain at £20 a year! 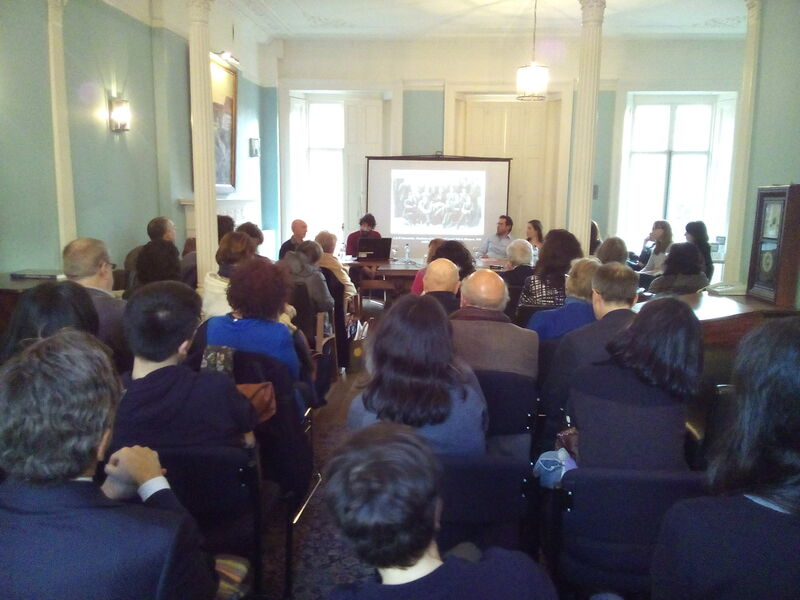 A few updates on news items in my last blog postings… A couple of weeks ago, I told you that one of our current PhD students, Vazken Davidian, was organising a panel discussion on 26th April, entitled ‘Towards Inclusive Art Histories: Ottoman Armenian Voices Speak Back’. This was based on a special art history edition of the journal, Études Arméniennes Contemporaines, which Vazken was invited to edit. I’m delighted to say that the event was a great success, and the room was packed. 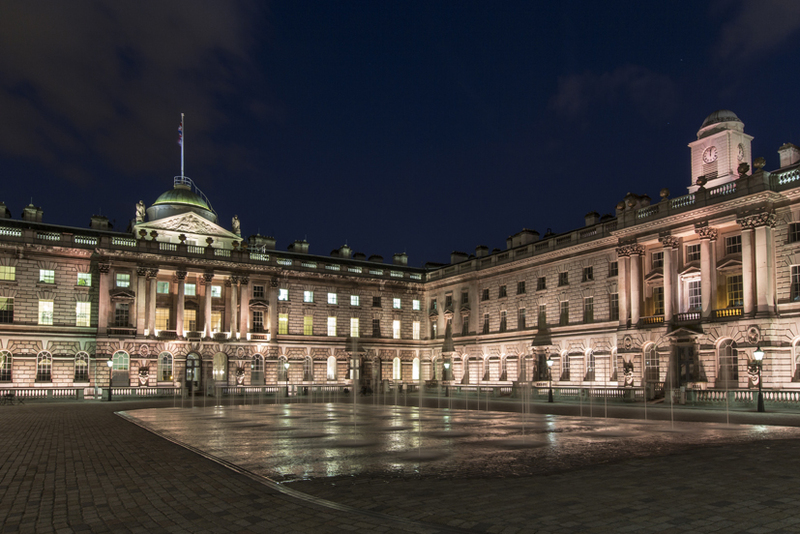 I also heard a few days ago from Annette Waywell, our MA History of Art with Photography student who works as Learning Manager at Somerset House. She wrote a lovely piece for this blog, asking you all to support a proposal for Bedwyr Williams to stage a ‘druidic open mic comedy night’ onsite, for Museums at Night. Well, I am very pleased to be able to share the news that they were successful, and Bedwyr will be performing at Somerset House! Thank you to all those who voted – apparently, at times, it was very close indeed, so every vote very much counted! Another of our MA students, Steven Dryden, who is currently studying Museum Cultures, also dropped us a line to tell us about an event which he’s been organising. Steven works at the British Library, and his timely symposium on 23rd May will be looking at the potential of the audio and audio-visual academic book of the future. You can find more details on the BL website. 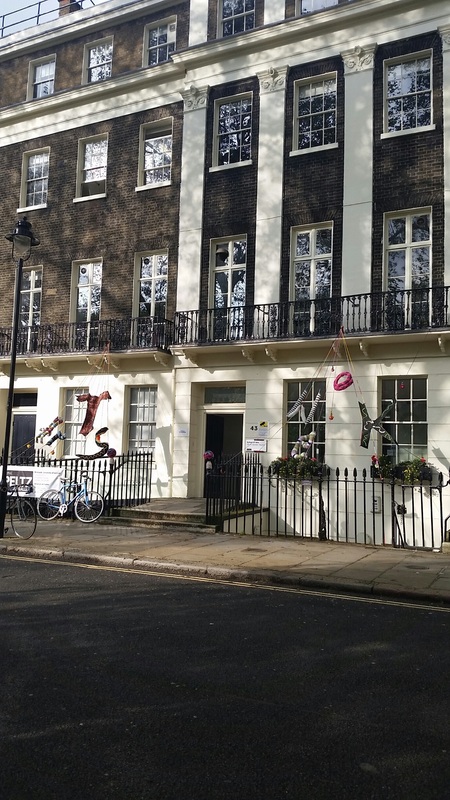 Last, but by no means least, I want to alert all students to a meeting on Wednesday 15th June (6pm, room 112, School of Arts), for anyone interested in volunteering for Open House London on Saturday 17th and Sunday 18th September. This is the weekend each year when buildings of architectural interest are opened to the public free of charge. For the third time, the School of Arts building is going to be included, opening up on both days, and, as ever, we’re after volunteers! We’re looking for students and former students who would like to be part of the event and represent Birkbeck, whether as guides (all access will be by guided tour) or wardens. We’re hoping to recruit enough volunteers to be able to run shifts – so it’d be a matter of committing to one morning or afternoon over that weekend (plus attending the information meeting, and a training event on one evening in September). Previous volunteers have found it a lot of fun – have a look at their accounts on a blog posting from last year – so I encourage you to take part! 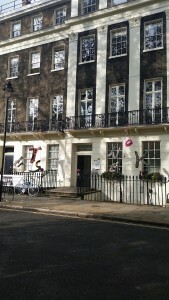 It’s a chance to meet new people, and to learn a lot more about the fascinating building in which we work and study. If you are interested in volunteering, and coming along to the meeting on the 15th June, then please e-mail Eva Höög at eva.hoog@btconnect.com with your name and programme of study. Time to sign up for Arts Week events…. I hope everyone is now settled into the summer term – although I strongly suspect our BA students are feeling far from settled as exam season is just about to start. Good luck with that final push on revision – and with those forthcoming hours in the examination room! 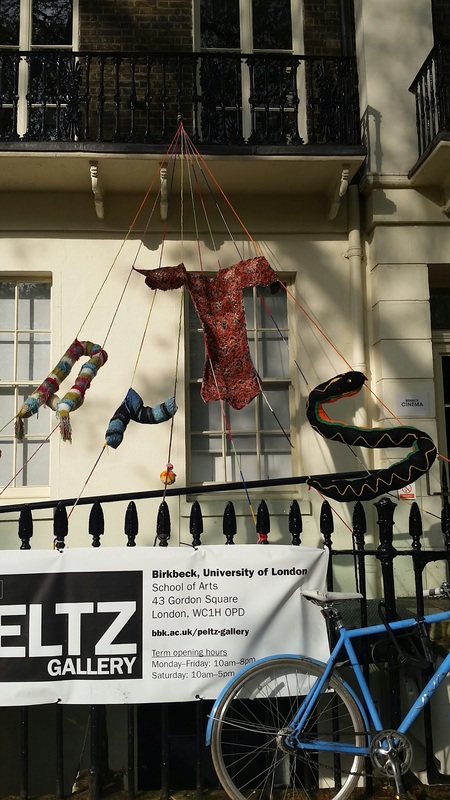 Also imminent is Arts Week, which starts Monday 16th May, and is always an exciting event in the School of Arts calendar – as anyone who’s been at Birkbeck in May in previous years will know. The programme is now live, and I urge you all to go onto the website as soon as you can, browse through the range of tempting events on offer, and to register for as many as possible! Everything is free, as ever, but you do need to reserve a place for anything you want to go along to. For those who haven’t previously been around at this time of year, Arts Week is a time when we showcase our research and teaching interests in the School of Arts, and our relationships with the Creative Arts. There are screenings, workshops, exhibitions, talks, walks….you name it. Members of the History of Art department are involved in many events taking place across the week. If you’re interested in curating, then do sign up for ‘Curating Difficult Objects’ on the Monday, when Gabriel Koureas and Lynn Nead will be joining Anthony Bale from the Department of English and Humanities to talk about exhibitions of controversial or uncomfortable objects on which they have each worked. Lynn has also organised a panel discussion on the Tuesday, which will look at how film can create new forms of research, and new ways of looking at research materials. Gabriel, meanwhile, has also put together a roundtable discussion on the concept of identity as constructed and performed through social rituals on the Thursday evening, planned to coincide with the exhibition, RELAPSE – Identity, which has just opened in the Peltz Gallery. And he’s finding the energy to participate in another event, around artist-researcher collaborations! Meanwhile, if photography is one of your particular interests, then do look at details of a session organised around ‘Photographic Experience of Space’, on the Monday. Those colleagues who run the Architecture, Space and Society Research Centre have put together a particularly impressive number of events. Our own Fiona Candlin and Leslie Topp will be joined by Swati Chattopadhyay for a discussion, on the Wednesday, of small spaces, from bookshelves through to cells to micromuseums. How do such spaces shape solitary pursuits and social interactions, and how might they inflect our studies of museums, art and architecture? 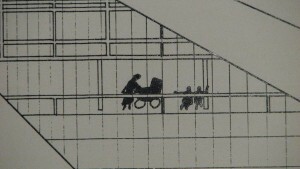 The ASSC has also organised walking tours – two exploring architectural modernism in Bloomsbury (on the Tuesday and Wednesday), and one around Covent Garden (the latter led by one of my own PhD students, Thom Braun). Finally, they’re hosting a lecture being given by Professor Mark Crinson, on the Thursday, entitled ‘Brutalism: From New to Neo’. 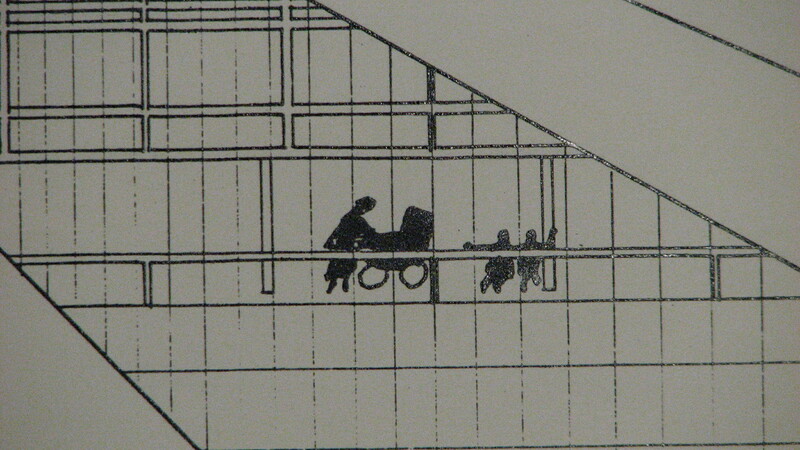 In this, Professor Crinson will ask: What was Brutalism? And why does it still seem to separate us into either ardent advocates, or angry critics? We’re all particularly excited about this lecture in the History of Art department, as Mark Crinson will be joining us in July, as our new Professor in the History and Theory of Architecture! This will be one of our first chances to offer him a warm welcome to the department. His arrival will be quickly followed by that of another new colleague, Professor Steve Edwards, one of the most acclaimed international scholars in the History and Theory of Photography, who, I’m delighted to say, will be joining us in September. I have news this week from a couple of MA students from the department – one who completed the MA History of Art programme a few years ago, and one currently studying for her Masters in History of Art with Photography. The current student is Annette Waywell who, when she’s not at Gordon Square or working on her latest piece of coursework, is Learning Manager at Somerset House. In that capacity, she wrote a proposal to win artist Bedwyr Williams staging a ‘druidic open mic comedy night’ onsite for Museums at Night – and it’s been shortlisted! I shall pass you over to Annette to tell you more about it, and to persuade you to put in a vote …. “The competition is an annual element of Museums at Night, which takes place in the UK every May and October, encouraging new and existing audiences to explore galleries and museums across the country ‘after hours’. It’s described by Culture 24, the funders, as a ‘Lates Festival for the culturally curious’. Part of the festival is an initiative called Connect, in which high profile contemporary artists propose a Museums at Night artwork or intervention. Any venue can then respond to that proposal, describing why their gallery or museum would be the perfect choice to host it. The artist shortlists their favourites, and it is put to a public vote. The venue with the most votes wins the artist, and the event, plus substantial funding to stage it. This year there were six Connect artists, including Marcus Coates and Susan Hiller, who had submitted a range of ideas – from an exhibition of sacred water to ultraviolet portraiture, all to take place at the end of October. “In 2011, I left my job as a journalist with Reuters and began my part-time MA in History of Art, while writing simultaneously for the American magazine ARTnews. I absolutely loved the MA at Birkbeck – every module was so enriching, I never wanted it to end. About halfway through the course ARTnews commissioned me to write a profile of Grayson Perry. I decided that the interview would dovetail well with my research project, which I did on Perry’s fantastic exhibition at the British Museum, The Tomb of the Unknown Craftsman. For the profile I interviewed Jacky Klein, who had written the only monograph on Perry; we got chatting and she said we should stay in touch as she happened to be commissioning editor at Thames and Hudson. I did stay in touch and in one of our chats we discussed the fact that so many accounts, for and against, had been written of BritArt, but there had been no impartial history of the phenomenon. About half way through my final year on the MA, I was commissioned by T&H to write that book, which has just been published as Artrage! 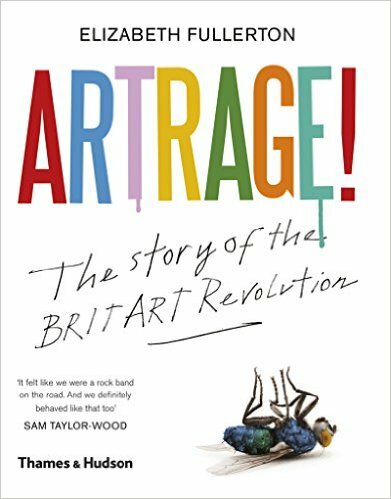 The Story of the BritArt Revolution. More History of Art news in a fortnight!